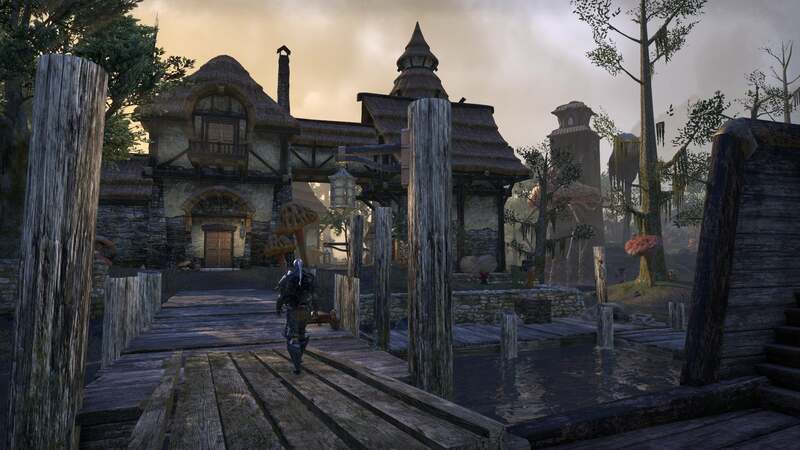 Those who loved The Elder Scrolls III: Morrowind will find the latest Elder Scrolls Online expansion full of fond memories. Everyone else? Well, it's still Elder Scrolls Online. “Wake up, we’re here.” Words whispered by a stranger in the bowels of some dimly lit ship. It’s been more than a decade since I first played The Elder Scrolls III: Morrowind and I’m starting to suspect that, for me at least, there will never be another game like it, never another introduction I remember so fondly. Off the ship into the grubby port town of Seyda Neen, with its imposing Census and Excise office, that crooked little lighthouse off to the side, a weird long-legged flea thing off in the distance. It seemed so much larger than six homes and a main road back then. Overwhelming, even. Nowadays every game’s an open-world monstrosity packed full of hundreds of activities, but in 2002? Morrowind seemed incredible. Each tiny town was a bustling metropolis. And now I’m back sort-of. 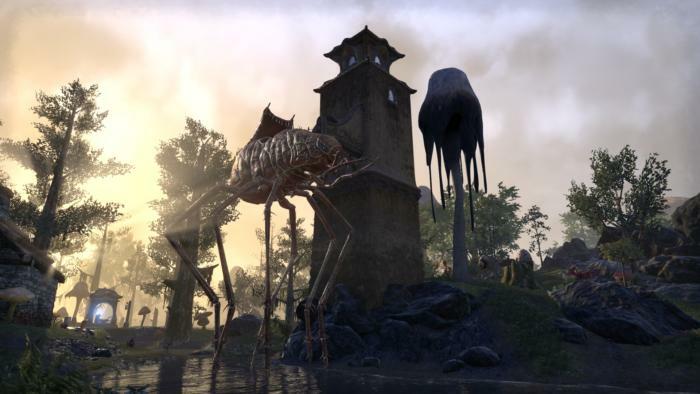 I’ve spent the last month playing the Morrowind expansion—Bethesda calls it a “new chapter”—for The Elder Scrolls Online ($30 on Amazon for the base game), first on the test server and then, for the last week and a half or so, on the main server. It feels like coming home. 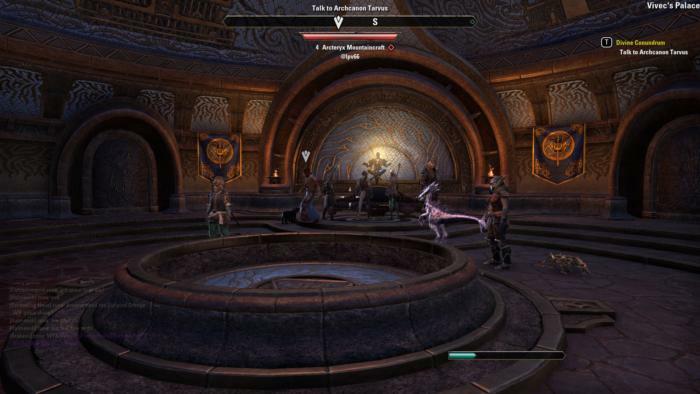 I’d be hard-pressed to say The Elder Scrolls Online has turned into a good game. It’s certainly turned into a better game since its underwhelming release in 2014—and hey, there’s no subscription fee anymore. That helps. It still feels wrong, though. 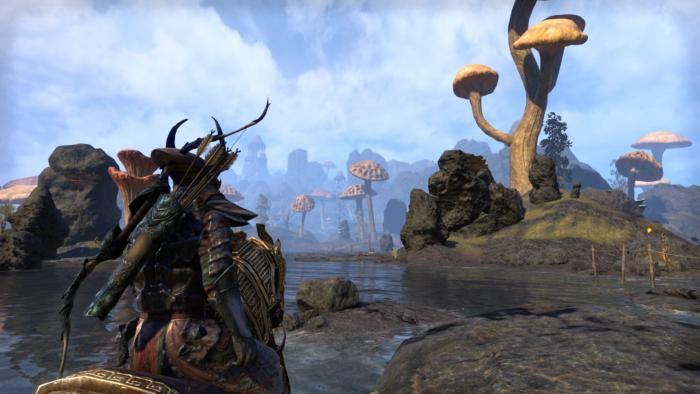 The Elder Scrolls Online has the look of an Elder Scrolls game, but it’s thin skin stretched across MMO bones. Those are all other players. It’s ridiculous. 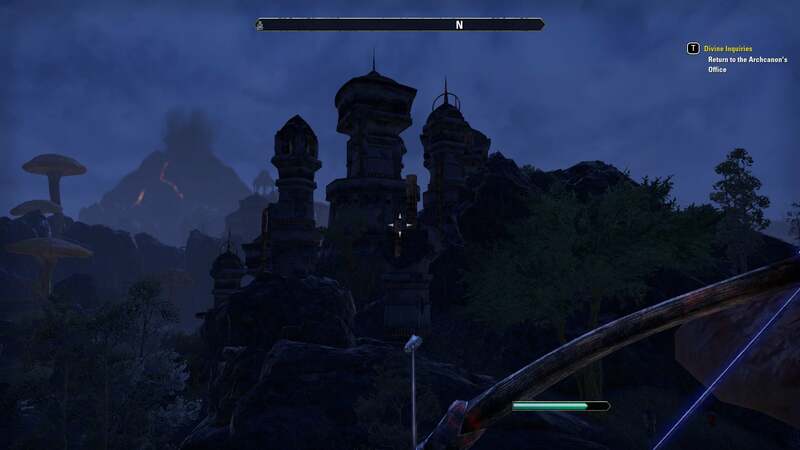 Accustomed to being the hero of an Elder Scrolls games, in Elder Scrolls Online you’re just one more wannabe adventurer solving the same exact problems as dozens of other people. And you know it. The game doesn’t do anything to hide this fact, meaning you can walk into a tomb that’s been “abandoned for hundreds of years” and find six other people inside, flinging spells around and hunting for the same stupid MacGuffin as you are. Hell, sometimes you simply walk through a dungeon that’s completely empty because, unbeknownst to you, another player came through 30 seconds before you and cleared out the whole place and the enemies have yet to respawn. It’s happened to me multiple times. Not that it matters. Few enemies drop gear, and the gear itself seems entirely optional. 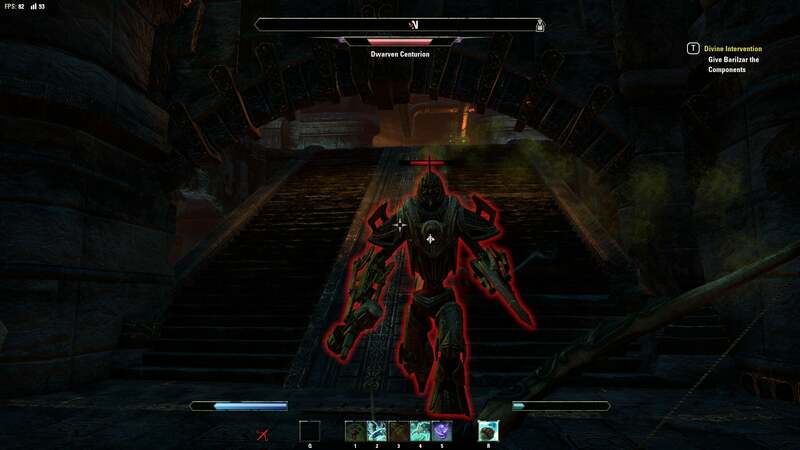 Elder Scrolls Online introduced Oblivion-style level-scaling in an update last year, meaning that the entire concept of "leveling" seems fairly arbitrary because enemies just scale to the same difficulty regardless of how much you've played. A fearsome wraith? A spooky skeleton? A big ant-thing? All equally challenging. 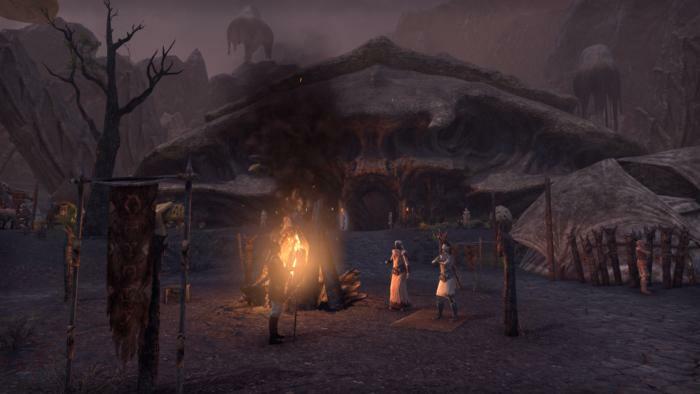 Some people might like this—it certainly makes it easy to drop in and out of the game, group up with people, and play through Morrowind as a new character (perhaps using the new druid-like Warden class). Personally I find it removes any real sense of progress, with every enemy taking way too many hits to kill and combat a bit of a slog. Like...well, like Oblivion. These problems aren’t unique to The Elder Scrolls Online obviously. They’re fairly standard MMORPG conventions. But they’re perhaps less forgivable here because the game so badly wants to ape the style of the mainline Elder Scrolls games. Worse, it comes so close to being an adequate replacement, but you’re constantly being distracted by all the weird MMO elements. So no, this is not the point where The Elder Scrolls Online becomes a must-play game. At least for most people. I don’t care, though. 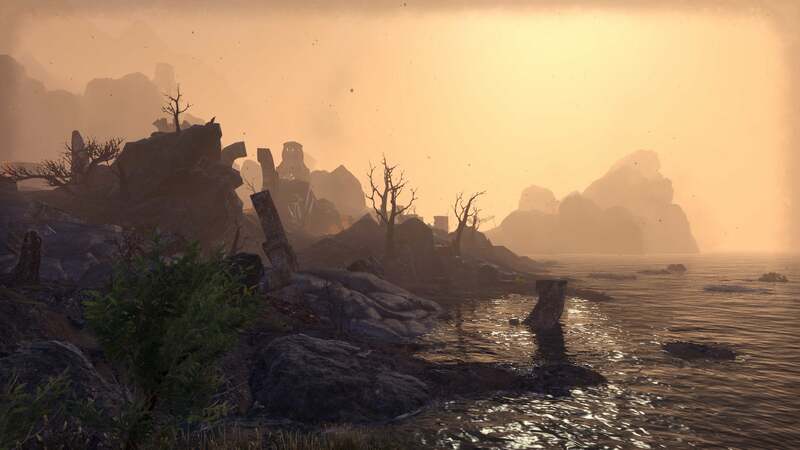 I’ve spent something like 35 hours in the Morrowind expansion so far and I haven’t cared a bit about the failings of Elder Scrolls Online itself. It feels weird to be nostalgic for a place that’s never existed, but I do. 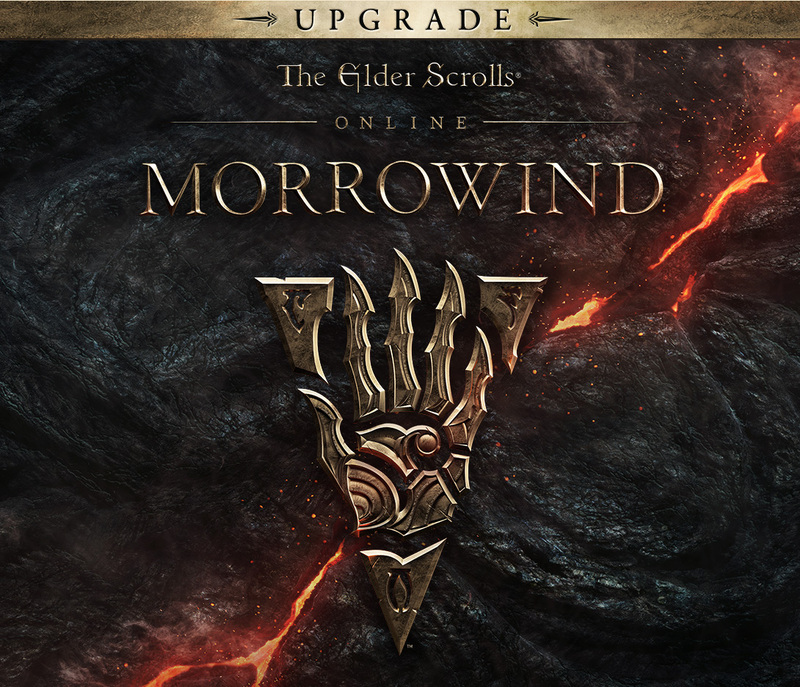 I spent hundreds of hours playing the original Morrowind across something like five years. For a long time, Morrowind was the game I returned to when I had nothing else to play. As I wander through the island of Vvardenfell I find myself stumbling on old memories. Here’s the mountain near Suran where I fought Umbra, the depressed orc who wished to die a warrior’s death but was too strong to be defeated by normal adventurers. There’s the mountain pass where I was dive-bombed by dozens of cliff racers. Here’s the Dwemer stronghold I tried to jump over for a half-hour before realizing it’d be easier to go around. There are ancestral tombs, the Morag Tong, the Fighter's Guild, the Mage's Guild. The mushrooms! The long-legged Silt Striders! Walking into the city of Balmora there’s the building where a Khajiit fence bought all my illicit moon sugar. Ald’ruhn is a smaller settlement in the expansion, which takes place 700 years before the events of The Elder Scrolls III proper, but still has its trademark giant crab shell in the center. And always, the Red Mountain, Dagoth Ur, dominates the horizon with its magma-heat glow. It's an ever-present ill omen, although I haven't found a reason to scale its charred expanse yet. It’s a pleasure to wander though. Bethesda does its part to stoke the fires of nostalgia, tying the lore back into The Elder Scrolls III in ways both subtle and not. 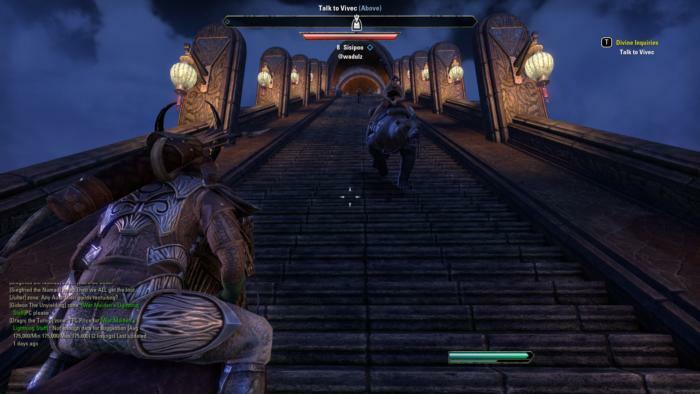 There are plenty of nod-wink, George Lucas-style references for longtime fans to catch, from classic characters making quick cameos to books packed full of “Last time on The Elder Scrolls...” type backstory. But I don’t really need any of that. Those moments feel a bit artificial. Contrived. Far better to just wander, to walk into Suran or Balmora or Gnisis or Ald’ruhn, all these places I visited fifteen years ago, and just take in the scenery. In those moments, it’s Morrowind as I remember and not Morrowind as it actually looks when I go back to those 2002-era graphics. Well, sort of. As I said, I do remember Morrowind being quite a bit larger. It wasn't, but I remember it that way. 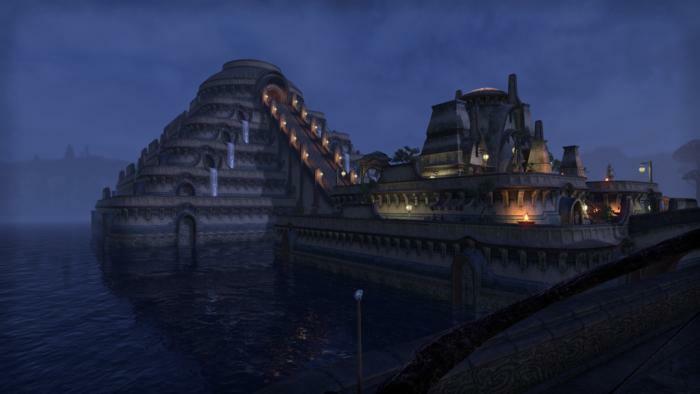 It's a bit uncanny to walk two minutes down the path from Seyda Neen and end up in Vivec, a journey that used to seem fraught with danger. On longer journeys, mounts let you cross the land in record time. And if that’s still not quick enough? You can fast-travel city to city for cheap. It also doesn't help that the world's a lot emptier now. The Fighter's, Thieves, and Mage's Guilds have all been replaced with MMO-style "Do pointless tasks for no reason" leveling trees, seemingly incorporated just because fans would expect to see them. Only a few Ancestral Tombs are actual dungeons at the moment, with many simply sealed off. And don't worry! You won't miss any. Quest markers and location markers hand-hold you through your adventures and point out every location of note. It's an MMO. Morrowind, once so ripe for exploration, once famed for its secrets, has been turned into a theme park. Maybe that's okay, though. Maybe it’s okay for this to be just a quick nostalgia fix, a nu-Morrowind with the edges sanded down. “Modernized,” if we’re being charitable. The old game still exists. You can buy it. You can play it. Nothing can take it from you. But Morrowind's a bit worse for wear in 2017. It's hard to capture that same magic, to get back into the headspace of 2002 and forget everything that's come since. It's not just that it's ugly, it's also clumsy in many ways. That clumsiness endeared it to me way back when, but nowadays it's an obstacle. For anyone who played The Elder Scrolls III, who yearns for Morrowind and the island of Vvardenfell, being able to revisit even the shadow of those memories is a treat. The old theme music swells, you take those first steps into Seyda Neen, and it's almost the same. Close enough, anyway—like seeing the reunion tour of your favorite band. They're older, maybe less daring, but the hits are timeless.